A calendar is the perfect way to stay in front of your customers all year long. Calendars are great for company team building too. 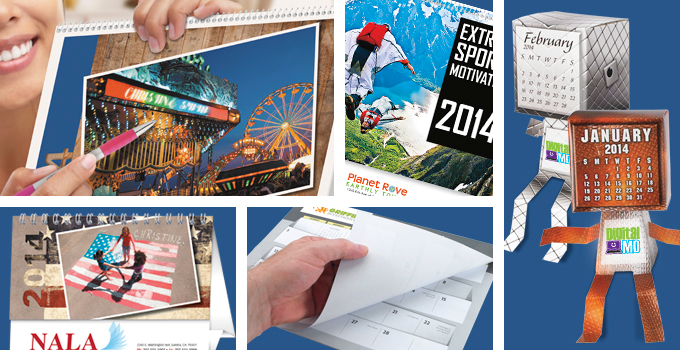 Bring in 12 photos and we'll produce a custom, full-color calendar. Or, assemble collages using as many photos as you like -- we can use any original up to 11" x 17" in size.